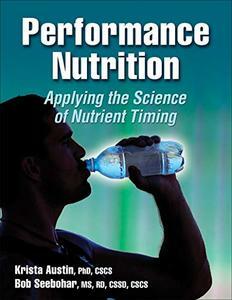 Optimize, improve and enhance training and recovery with "Performance Nutrition". Based on the most current research in nutrient timing, this brand new book blends theory with applied content and real-life examples to help nutritionists, athletes and coaches design nutrition plans based on each athlete's individual needs and the specific demands of the sport. Practical and user friendly, this text also includes "In Practice" application exercises, mini-case studies and four extended case studies to assist in translating the information to your own practice.